It’s January — a new year, a time for making resolutions, and unfortunately, a time that many of us get hit with the cough, cold, or flu. Yep, we’re in peak illness season, and according to the CDC, it’s only getting worse. While your doctor may prescribe a healthy dose of fluids to help get you better, we doubt they mean of the alcoholic kind. However, here at Cocktail Builder, we’re all about turning to our favorite spirits to aid us in our recovery. After all, many of our favorite elixirs started out as medicinal beverages before anyone thought about drinking them for fun. A little bug-killing booze plus a few soothing ingredients may be more effective than couch syrup — and it’s certainly more enjoyable. So, you’re sniffly — what should you drink? Of course, there’s always the obvious Hot Toddy, a favorite for anyone feeling under the weather. But there may be something even more potent and powerful to sooth your sickly soul. Enter our January Cocktail of the Month: an updated version of the Horse’s Neck, created by the geniuses at Knob Creek. Much like a traditional Old Fashioned, the recipe calls for bourbon and Angostura bitters, but it gets an extra-special kick thanks to all-natural ginger beer. Ginger has long been known to have many incredible health benefits, from treating nausea and vomiting to reducing inflammation and muscle pain. Its innate spiciness can help kick ailments from your system, and clear out your sinuses if you’re feeling especially stuffed up. So, go ahead: Put on your favorite pair of sweats, grab a blanket and a movie, and mix yourself a drink. Just be careful not to go too crazy. You are still sick, after all. In a highball glass with ice, add the bourbon and bitters. 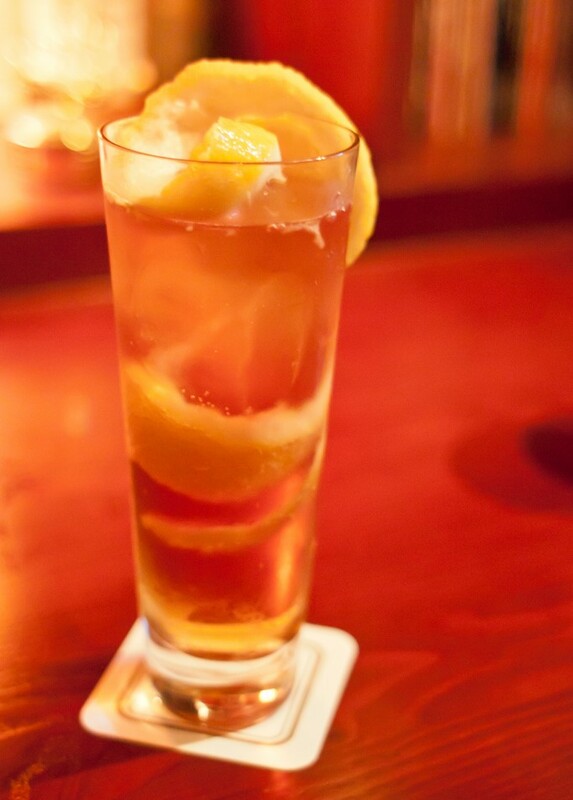 Top with ginger beer and the twist of a whole lemon, preferably all in one piece. Stir lightly to combine.